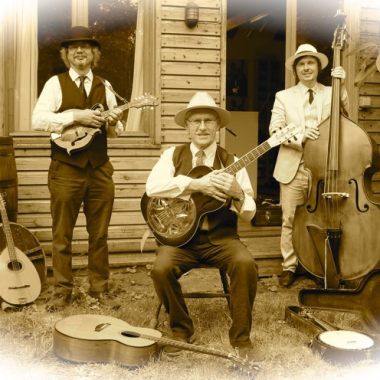 Introducing Acoustica!, a trio with double bass, guitar and violin playing an exciting mix of musical styles from across the acoustic universe. 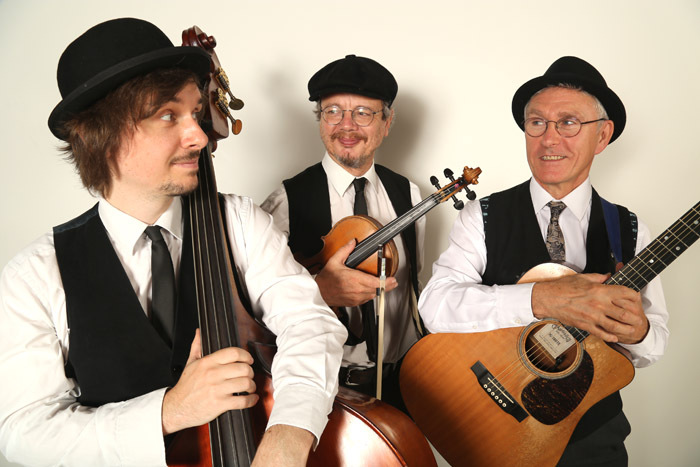 From Latin America to Eastern Europe, from the hot clubs of France to the bluegrass of American country, also traditional and modern Celtic sounds along with their very own special take on the popular song book, Acoustica! offer a rich mix with a unique sound. 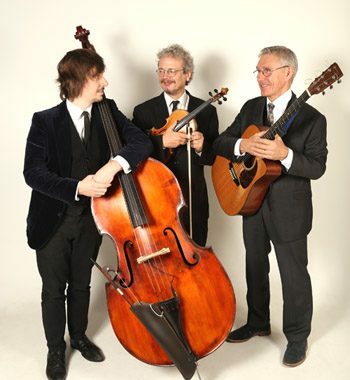 Paul Kerr, originally from Northern Ireland, was trained on classical guitar and, combined with this, he plays acoustic and electric steel stringed guitars covering an enormous range of music, from Irish traditional to jazz and most points in between. A fine singer, his songbook is vast. Chris Haigh is one of the UK’s foremost violinists also covering an enormous range of styles. Classically trained, Chris plays and improvises around traditional forms from the UK, America, Eastern Europe, Russia and virtually all countries that have a fiddle tradition. He is also a jazz improviser, and leads the bands The Kremlinaires and Tziganarama. Rupert Gillet is a talented multi-instrumentalist who specialises in cello and double bass. Like the others, he also covers an eclectic mix of musical styles.